The Western chimpanzee is found in three protected areas of Guinea – Mount Nimba, Ziama Mountains, and High Niger National Park – as well as sacred areas, protected for religious purposes, such as Bossou. Human demographic growth and agricultural development are driving deforestation, thus threatening the populations of chimpanzees already hunted for meat and the pet trade. 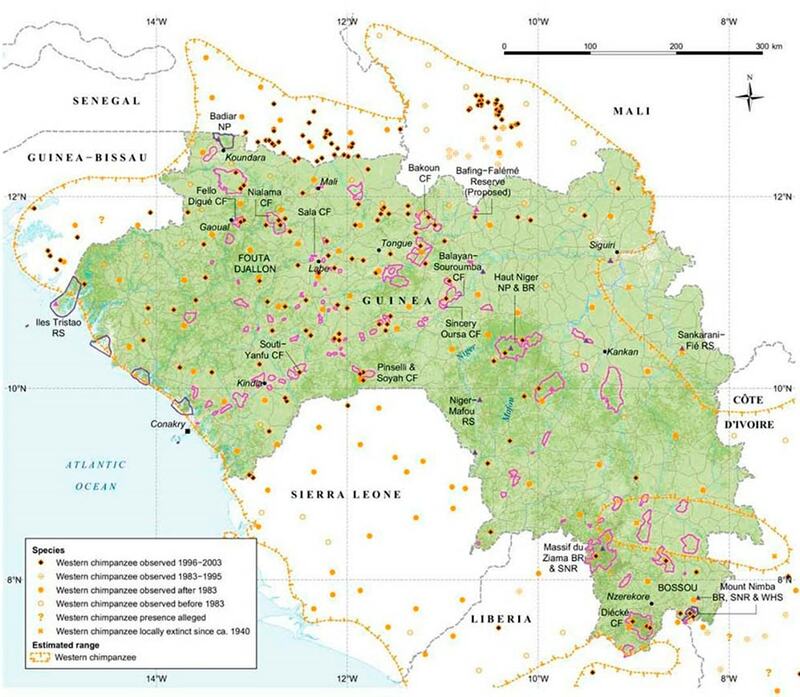 Mining in the Mount Nimba region is another major threat. Chimpanzees in Guinea have been observed deactivating snares set by poachers, knowing how to shake or disable the traps without getting caught.